Here’s our fantasy premier league defender tips GW23 article where we give our defender and GK player rankings for gameweek 23. 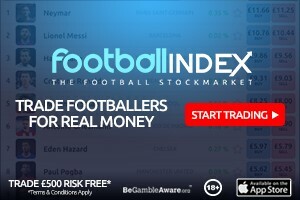 There’s a comprehensive table of stats and player suggestions to help you make a transfer choice. 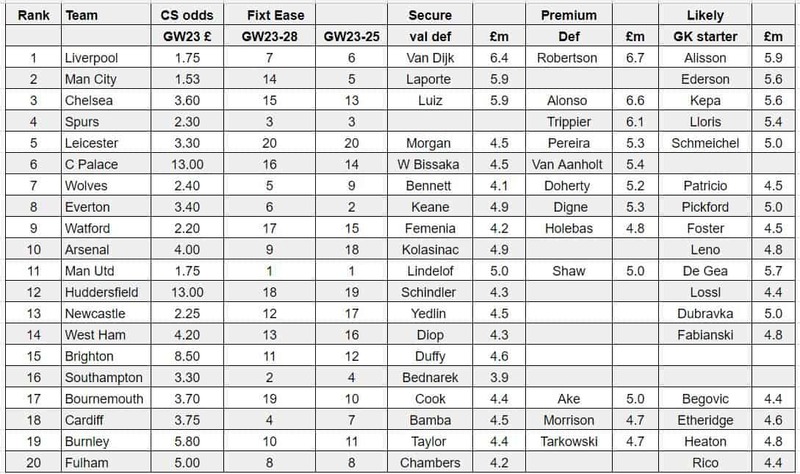 bookies odds for a clean sheet for GW23. The lower the better obviously. 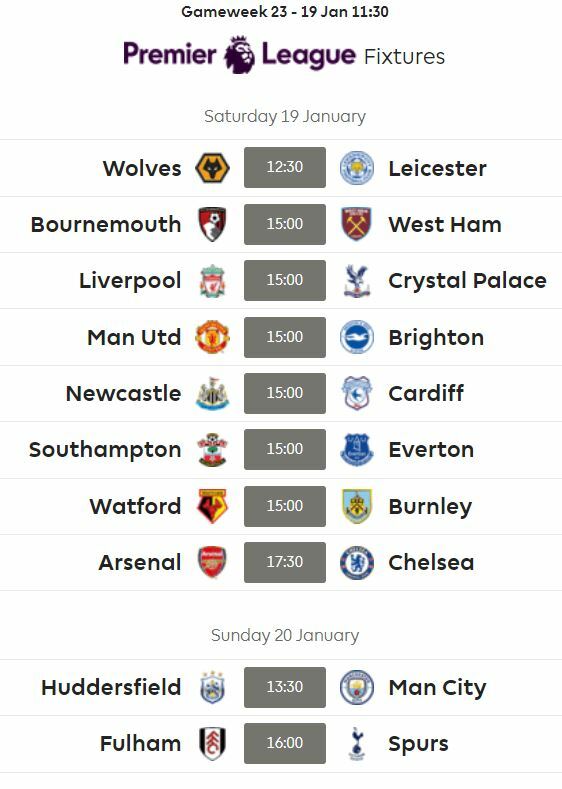 It took 9 gameweeks and a 10 man Wolves team for Man City to add to their clean sheet tally and surely if they can’t against Huddersfield they should give up bothering. There’s only Laporte who seems to have little bonus or attacking potential as a realistic secure option but even he will suffer rotation. 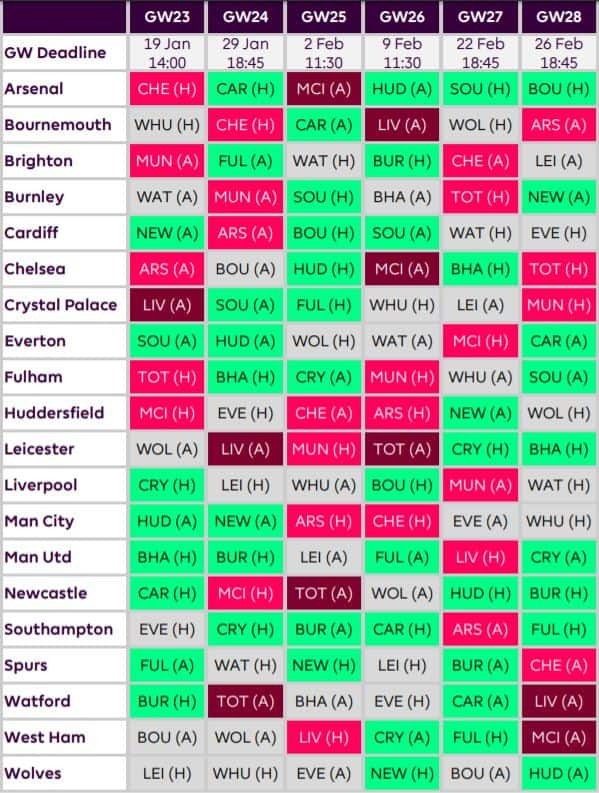 Considering Fabianski’s fixtures are becoming tougher…why not considering Alisson as a “cheaper” route into the Liverpool’s defence?